Mark your calendar! 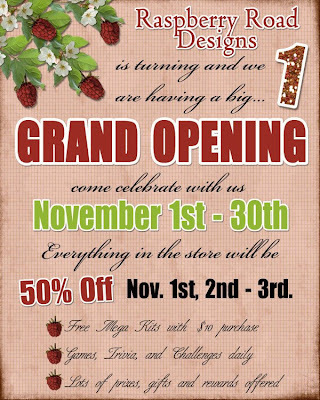 Come join us for the grand opening of our new store. We have lots of surprises in store for you. Also, while you are there, join in on some of the new challenges on our forum. There are some great participation gifts lined up. Hi there! Just stopped by to say hello Raspberry road was a new store to me. It looks good!